PETE DOES IT STANDING UP! 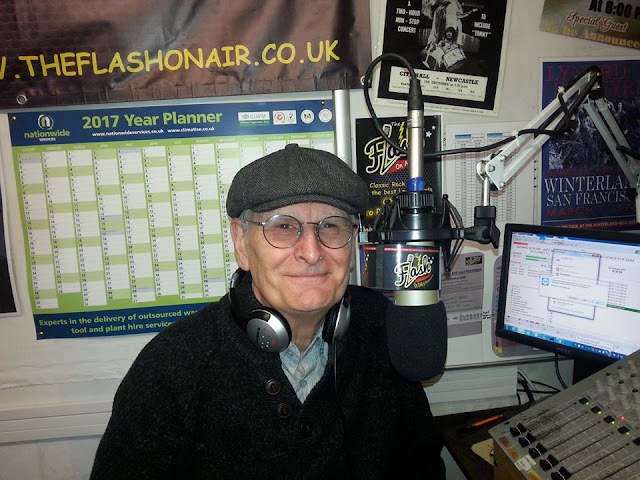 Pete Crew's new magazine programme 'Scene & Heard' this afternoon will know that he sounds like he is well and truly on his toes, and he is indeed. Even in this hot weather Pete prefers to broadcast without the aid of a seat. Such a professional! MAKING SPACE FOR A NEIGHBOUR AT THE FLASH! 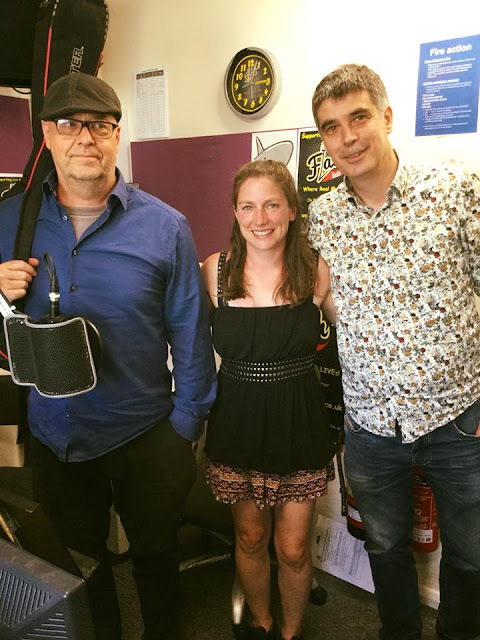 It was a real pleasure to have Nathan Chapman from Making Space visit our studio last week to record a promotion for their creative events and classes during July. You can find out more by hearing his regular promo on The Flash, or by clicking on the link below. Making Space are neighbours of our so it is always great to have them popping in. Kylie,Will and Geoff - Radio KWG in the studio following their live set on Drivetime today. Thank you guys. Great to have you on today and thanks for the CD’s. Listen out for them on our local playlist soon. Beautiful sunny afternoon in Southsea with Wilko Johnson and Norman Watt Roy signing copies of Wilko’s latest album “Blow Your Mind”. Listen out for “The Flash “ jingles which they kindly recorded for our Station. A NEW SHOW STARTS A WEEK TODAY! The countdown is on for the launch of a brand new live show for The Flash. 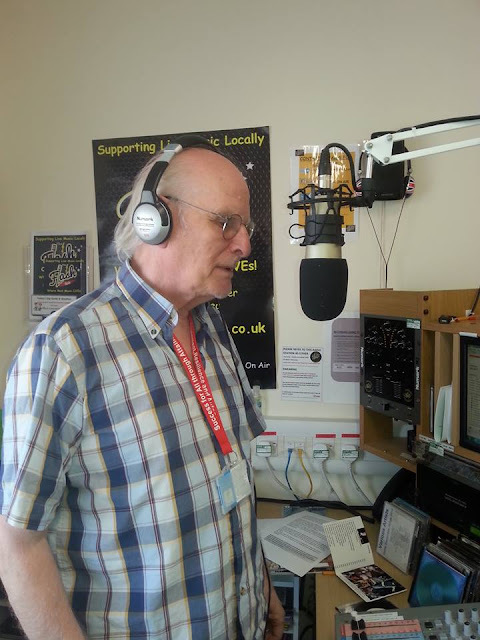 From next Thursday 14th June Peter Crew will be bringing you 'Scene & Heard' between 2.00 and 4.00pm. 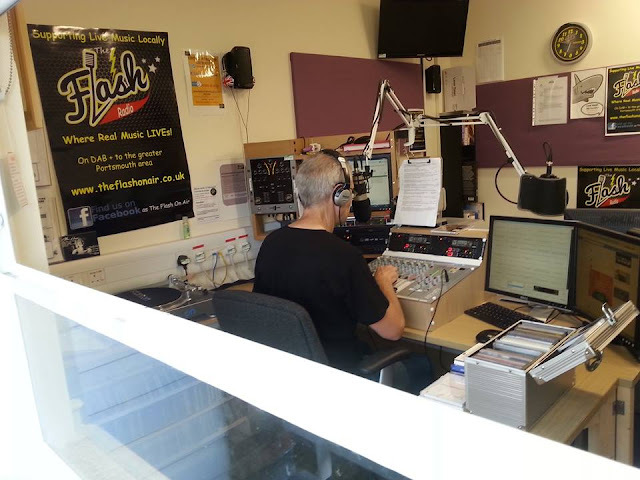 This new show is part of our development as a community broadcaster in advance of the future launch of our FM service to the Waterlooville area. 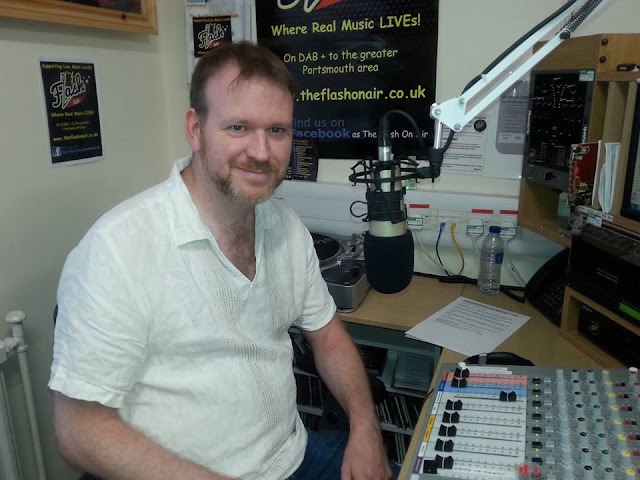 Pete will be telling you more about this exciting new show in due course, but make sure you are listening in next Thursday to catch it all if you can.